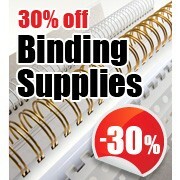 Professional binding systems available. 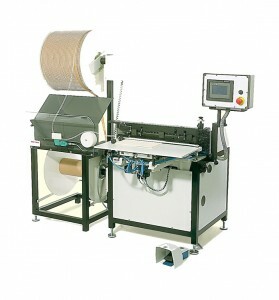 An extensive range of automatic and semi automatic wire and calendar binding machinery. We stock new and used professional binding equipment with all leading brands such as Renz, Rilecart and James Burn International. Whether you are a small bindery looking to expand or an established large bindery wanting to upgrade your current equipment to more modern or inline binding systems, we can offer advice and a solution to your professional binding needs. 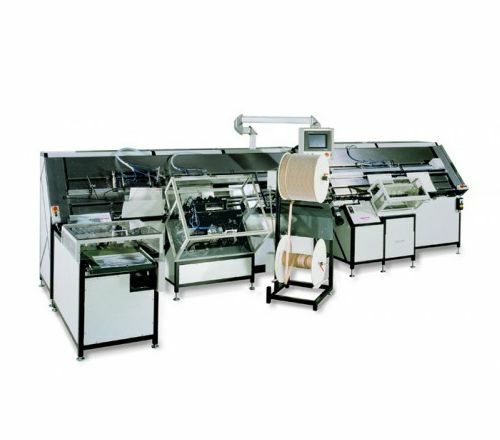 The Renz Mobi 360 Wire Calendar binding Machine is a semi-automatic mobile wire binder for book, skip and calendar binding designed for the digital on-demand market. The touch screen is simple to use and allows for quick format changes to be made with ease. Very little training is required on the Mobi 360 therefore meaning several operators can be trained to use it. The Mobi 360 will process wires from the small 1/4″ up to the large 1 1/4″ in both 3:1 and 2:1 pitches. Simple adjustment to the machine means no additional tools are needed to change wire sizes. The Mobi 360 is on wheels therefore giving the flexibility for the machine to be easily stored away when not in production. The machine is single phase and does not require compressed air to operate. Prepunched products are hand-inserted, then automatically transported into the closing station, closed and ejected. 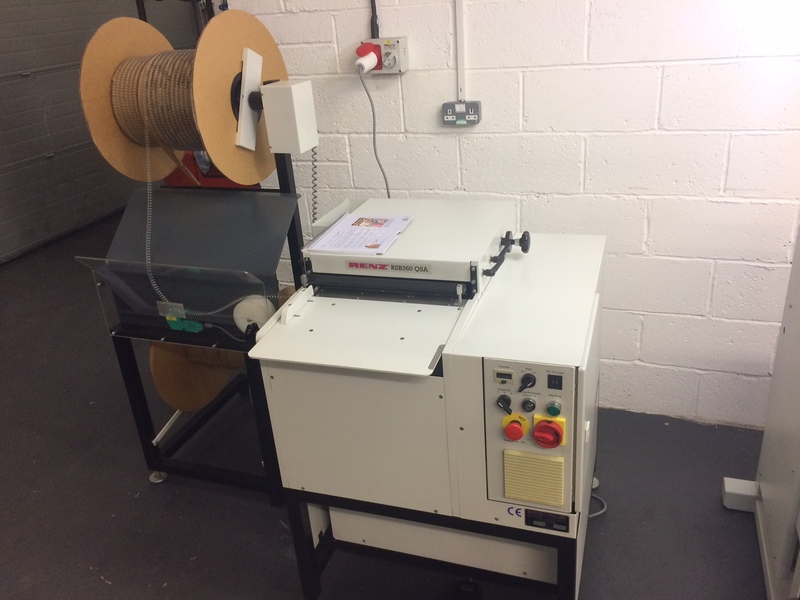 Specifically designed to allow binderies, printing centres and owners of manual binders to cut wire spool reels for manual insertion. 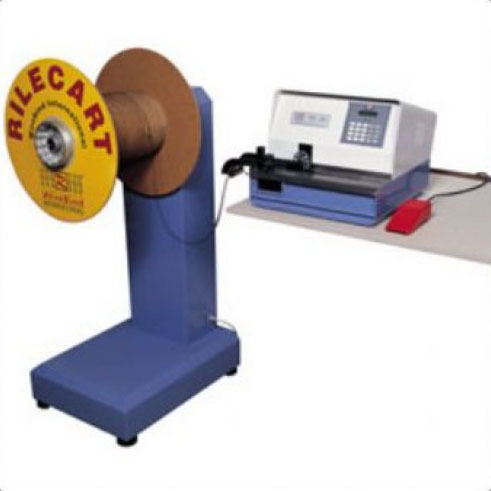 The TSR-500 can cut Wire spools to virtually any length and dimension starting form a minimum of three rings. A microprocessor controls the cutting process. The computer is pre-set with the required number of WireBind rings and lengths. Once activated by foot pedal the machine automatically feeds the spiral through and is controlled with a foot pedal. The unit can easily be controlled with foot pedals while the operator feeds the spiral, thus removing the need to wait for the completion of the cycle prior to feeding the next wire element. Fully automatic wire binding line for calendars and books, with the option of skip binding to. Both 2:1 and 3:1 punch dies are available for the ASM 500 punch module and this are QSA for changeovers in under 1 minute. 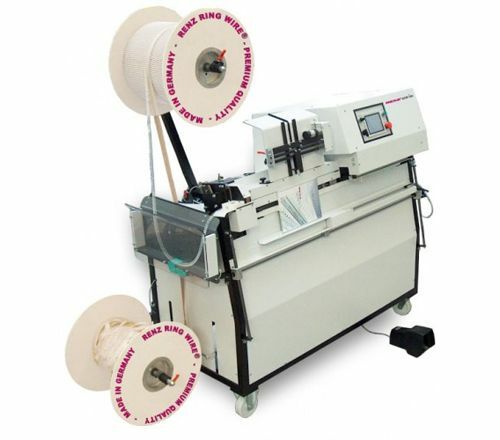 Wire diameters from 3/16″ up to 1″ can be used on this machine on both pitches. The ASM 500 punching unit can be added to the stand-alone ABL 500 at any time. The Renz Mobi 500 Wire Binding Machine is a professional wire binder that will book, skip and calendar bind documents up to 500mm wide. Easy set up and simple programming on the touch screen makes the Renz Mobi 500 user friendly and allows for 1 operator to run this machine with ease. Completely equipped to close 13 wire diameters from 1/4″ – 1 1/4″ (6,9 – 32 mm). skip binding: up to 3 times possible. Touch screen allows user-friendly setting. Thort setup time for diameter change 5 – 10 min. power supply: 230 V, 50 Hz or 110 V, 60 Hz. It is possible to close diameters from Ø 3/16″up to Ø 1 1/8″ with the Autobind 500 and 700. This is unique in this machine class! Both machines alow for 4:1, 3:1 and 2:1 pitch wires to be used. The quick format change means switch overs can be done in 1 minute, ideal for high productivity. Both machines only require 1 operator. 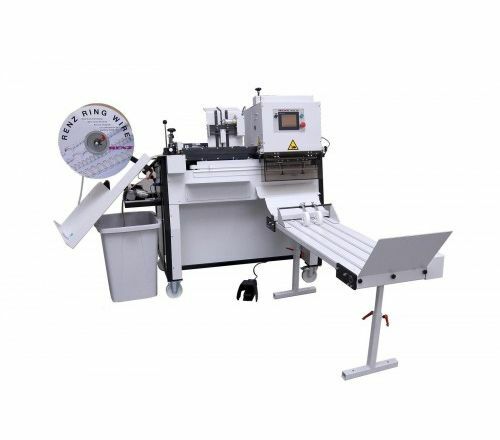 The newest generation of RENZ automatic wire comb binding systems are the result of decades of engineering experience and input from our customers worldwide. The versatility and high productivity of this advanced product family fulfills the needs of a wide variety of production situations. Short set-up times are very important for economically processing a nearly endless variety of calendars and books. Optimum production rates are achieved by the sophisticated control system which is simple to operate and has automatic error diagnostics. 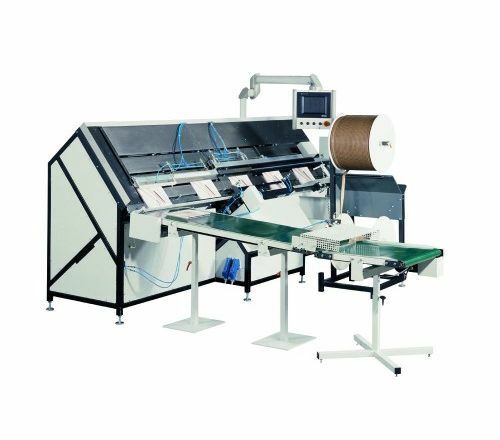 The Renz ABL 500 Wire Binding Machine has been designed to be used with the Renz ASM 500 Punch Unit to create the Renz Inline 500 Automatic punching and binding system.